Cover Story, a fast fashion brand for women by Future Style Lab, will be launching its new store at Forum Mall, Bangalore in the coming week. 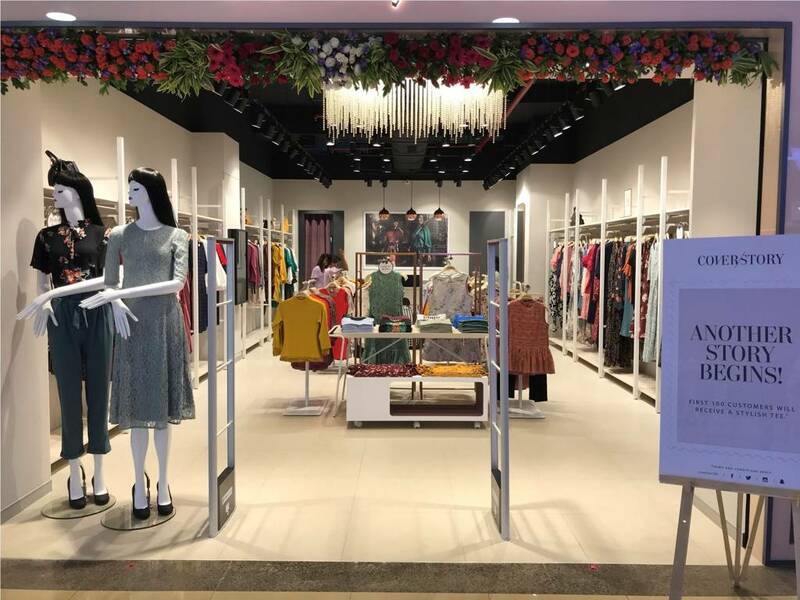 This is Cover Story’s 23rd exclusive store with an existing presence across Mumbai, Delhi NCR, Surat, Pune, Kolkata, Chennai, and many other cities. The store is placed at a prominent location in the mall amidst the most fashionable brands around. The sprawling area is an apt location for Cover Story with its state-of-the-art workspaces, retail havens, entertainment zone, F&B options, and signature hospitality services. With the latest in fashion trends available here at Forum mall, Bangalore is every fashionista’s ultimate shopping destination. The new store’s stock includes the latest Autumn-Winter’18 collection. The collection, designed at the creative headquarters in London, consists of women’s apparel and accessories, which include bags and shoes. The collection is inspired by the best runway trends seen across the world. This season we turned to the high streets of cosmopolitan cities for inspiration. When it comes to style in London, there’s nothing like High Street Fashion which displays the best trends from the runways across the world. Cover Story’s AW18 Collection features ready to wear styles that will give the Cover Story Woman (and her BFF) the confidence to turn the streets into their own personal runway. Our collection is spread across 9 stories has encompassed the key trends emerging this season. At present Cover Story has 22 exclusive outlets across Delhi NCR, Mumbai, Surat, Kolkata, Coimbatore, Kochi, Chennai, Indore, and Vadodara. Overall Cover Story is present across more than 80 doors at Central, Kapsons, Iconic & Sohum. Additionally, the brand has its own online store to help cater its customer from anywhere, by simply visiting the website – www.coverstory.co.in Cover Story is retailed through online marketplaces including Myntra, Jabong, Amazon.in and Koovs.